"A government mandate will require 2% renewable content in all diesel fuel in 2011, though a start date has not yet been set. Canadian Renewable Fuels Association ... said he expects an announcement on timing in the next few weeks." The Canadian government is going to regret this decision. Biodiesel is one of the worst things imaginable in cold weather. Depending on what the biodiesel is made from (soybeans,canola, etc.) the gel point can be as high as 0 degrees C....or +32 F. The cloud point is sometimes as high as 40 degrees F.!!! Adding just 2% of that crap to a tank of diesel fuel will make it that much harder to keep the trucks on the road during the winter months. Biodiesel has a place........but cold climates is not one of them. I much prefer to see it used in stationary equipment, such as emergency generators, manufacturing.....anywhere the fuel temperature can be controlled. Could well be, though my first thought was that 2% would be negligible. I've heard that flax seed is expected to be the source. I'll keep my eyes open and report back. I remember when red-dyed diesel came out in Canada, off-road operators complained engines didn't run as well. The reply was that it was in their imagination because the dye didn't affect engines. Turned out too much was being added, and it did impede engines. Been using the bio stuff along with a bit of Power Sevice just as if it were all petroliem since it came along and haven't had a problem yet. The wax crystals in vegetable oils are larger than in petroleum, this is what causes filter clogging, again the addition of a Power Service type additive breaks tham down taking care of that. 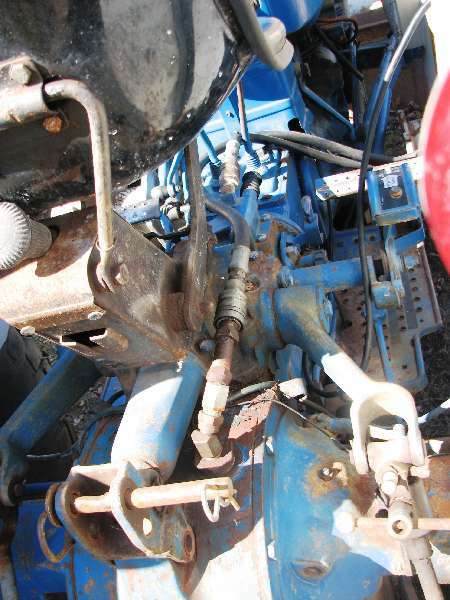 The bio part does fill a blank left by removing the sulfur from diesel fuel that used to lubricate the injector pump. The vegetable oils help fill that requirement now. One of the larger local school districts here in eastern Iowa that I'm aware of uses 20% blend year round, so I doubt that 2% will cause any problems. One of the larger local school districts here in eastern Iowa that I'm aware of uses 20% blend year round, so I doubt that 2% will cause any problems.Frank. I believe there's more to the story than that Frank. In addition to the subsidies for the biodiesel content, you - as a taxpayer - are also paying for the additives to keep that B20 from gelling in the Iowa winters. Either that, or (not inexpensive) fuel heating systems have been installed on the vehicles. Check the paper below, page 2 para 2. Anybody wanna bet that the flax seed lobby is behind that Canadian mandate? Lobbyists and "feelgood" politicians are notorious to the point of irresponsibility for turning a blind eye to unintended consequences. After all, it doesn't cost them a thing to spend other people's money. A bit of background, I served six yesrs on our local public school board in the late 70's till the mid 80's when school problems were simple compared to today and we had a bit of excess money to spend on programs. Just yesterday our new Governor announced that state spending for pre school programs will end and several hundred state employees will be let go. It wouldn't surprise me that other state funded school programs wil be cut too. At that time and still today our district owned it's own busses. I don't remember about the federal fuel tax but we paid no state fuel tax. Some of the bigger districts today hire private bus companies, and I'm not sure whether the didtrict I spoke of owns theirs or not. I just know what I read in the newspaper about them using the bio. During my time on the board we were required to take fuel bids, but that was before bio came along. I can't help but believe that bids would still be required so wheteher it be pure petrolieum, or bio, including the required additives the lowest bid per gallon would have to be taken, private bus companies can buy whatever thay want. In the end the taxpayer pays the bill for all public school costs whether it be for fuel additives or floor wax. As to the percentage of bio in my own fuel, I'm not sure. I use such small quantities anymore that I just buy it from a neighbor in five gallon cans. I just know he's used bio for a long time but I've never asked him what percentage. I don't know anything about the Canadian flax board, but it would seem that blenders would buy the lowest cost bio oil available at the time. A biodiesel plant planned for the city’s port lands district hopes to help feed Canada’s growing market for the fuel, and while they’re at it, animals and people as well. Energy Innovation Corp. announced a new facility Tuesday that will use flaxseeds to make biodiesel, which can cleanly power anything from cars, to trucks, to trains. But company CEO Jon Dwyer says using flaxseeds to make biodiesel, unlike corn or soy, affords other business opportunities as well. Forty per cent of every flaxseed can be used to make the fuel, but at the Toronto plant Dwyer will be able to process the other 60 per cent into another valuable commodity: high grade animal feed. Feed made from flax is rich in the omega-3 fatty acids that have been associated with a host of health benefits. The food products made from animals that eat the feed can in turn advertise their own omega-3 content. Feeding people directly is another revenue stream Mr. Dwyer hopes to tap. He said he is experimenting with turning the flax meal into flour that will have all the health benefits of being an omega-3 product, as well as being high in protein and gluten free. Mr. Dwyer said the Toronto plant will use flaxseeds from all over southern Ontario to make 10 million litres of biodiesel annually. Federal legislation calls for all diesel fuel and heating-oil to contain 2 per cent biodiesel by 2011, which experts predict will drive Canadian demand as high as 600 million litres annually. Canada currently produces 200 million litres a year. Mr. Dwyer plans to open eight plants in cities around Ontario, including Hamilton, Burlington and Windsor. Being located in cities means being closer to customers; from waste management companies like the Turtle Island Recycling Plant, to bus transit corporations like Metrolinx, to the City of Toronto itself, he said. The news piece you posted shows how governments attempt to manipulate the markets. The opening remarks seem to suggest that there's a growing appetite for biodiesel in Canada, and that the new plant will help feed the demand. Further down, we see that this growing demand for biodiesel was FORCED upon the people, by government. The people of Canada have no choice but to demand it. Given a real choice, I believe the people of Canada would shy away from the biodiesel blends. Look for new laws in the future that will make certain industries....and funnier yet....government agencies....exempt from using biodiesel in their fuel tanks. In the newspaper article you quoted what do the terms "Loblaws", and "Sobeys", mean? Not familliar terms to me. Good point. I'll post a letter to the paper asking if the forthcoming rules will apply to diesel used in government-owned engines, including those in the Canadian Forces.